Inspiration for this coming season spreads from the 50’s to the 80’s with structures and jacquard patterns ( R13). High-waisted denim (Versace) and deconstructed looks bring a fresh twist to the iconic material. Denim on Denim never gets out of fashion. 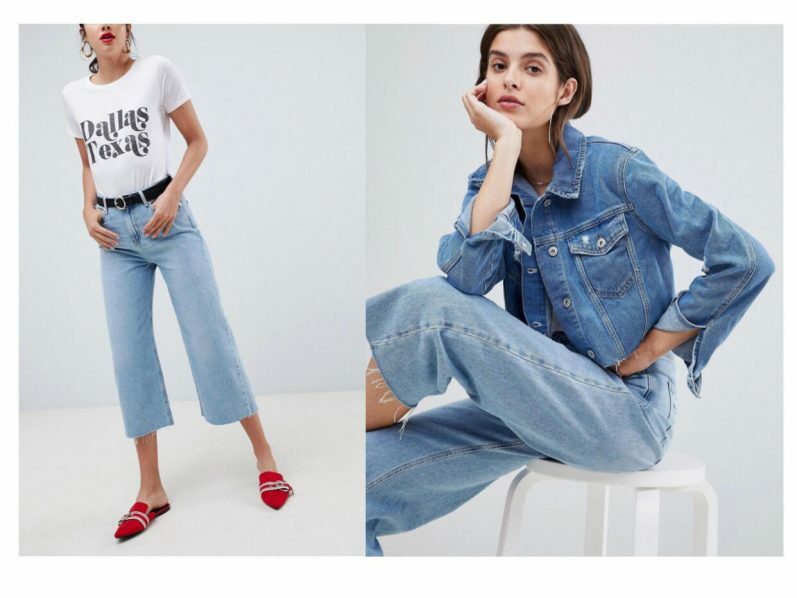 Since the 80’s high-waisted jeans have become an essential in every wardrobe. Combine it with a simple denim jacket and you will look absolutely stunning. The 80’s essential Maximalism is empowered by its high waist, bomber jackets and blazers. 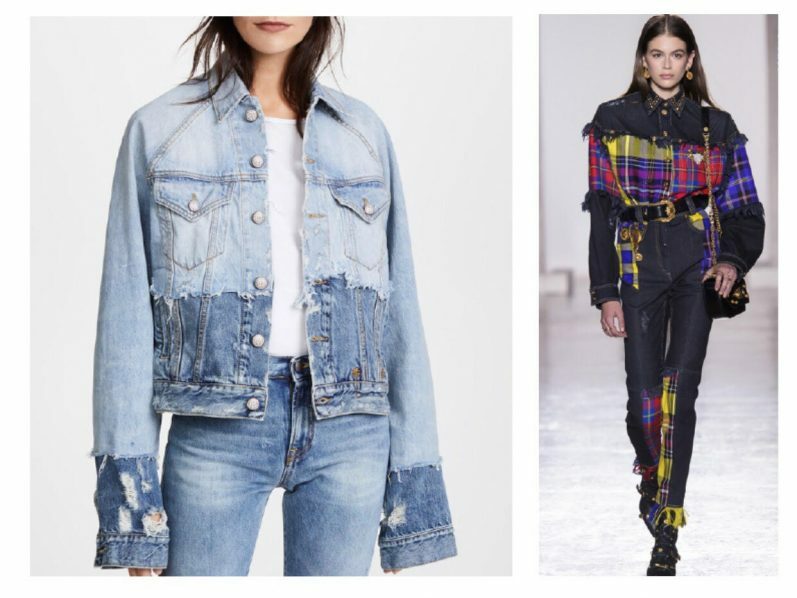 Look for bold colour-blocking, jacquard, acid wash and tartan (Off-White by Virgil Abloh) complemented by power shoulders (Balmain). The Denim Coat by NA-KD features a midi length with raw hems, a relaxed fit, side pockets and an open front with tie closure. Be WOW and stand out. 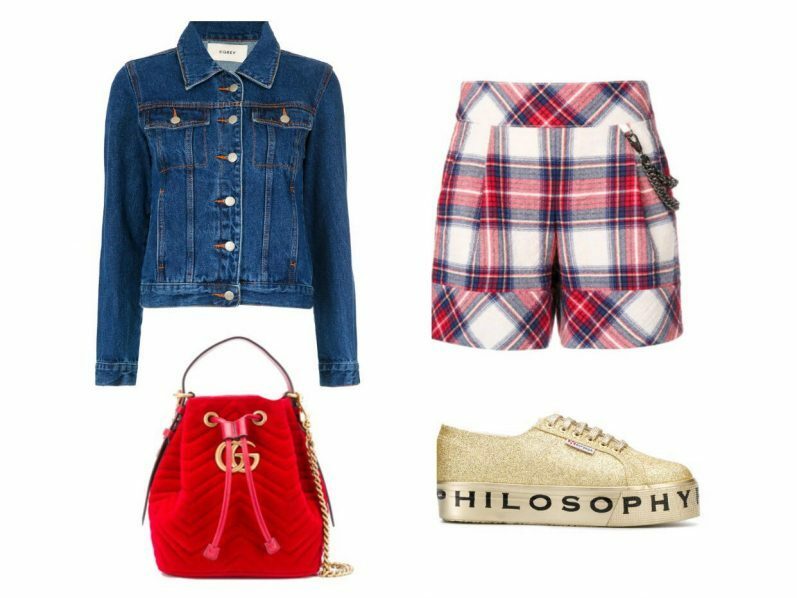 Combine some tartan Boutique Moschino shorts with a casual Egrey denim jacket. To give the whole look some glamour accessorize it with a pair of golden glittery Philosophy Di Lorenzo Serafini Platform Sneakers and a red suede Gucci bag. Raw denim is back. Darker denim options such as washed-out black and deep grey complement day-to-night dressing while clean indigo rinse and minimal stonewash effects are key. Creamy ecru take denim into premium territory. Classic skinny black jeans are always a must and combine it with a denim jacket from Diesel’s AW18 collection. It is characterised by contemporary off-duty staples that speak to the brand’s sophisticated yet streetwear aesthetic. To give your whole look the complete WOW effect, wear some silver leather heels from Michael Kors and a silver clutch by Marc Ellis. Your midnight dark denim will become your favorite evening wear filled with glitzy embellishments. Wear it with a silky über-romantic blouse or a simple white t-shirt. Jumpsuits are here to stay this season (Anthropologie) bringing a relaxed and flared silhouette with belted waist. 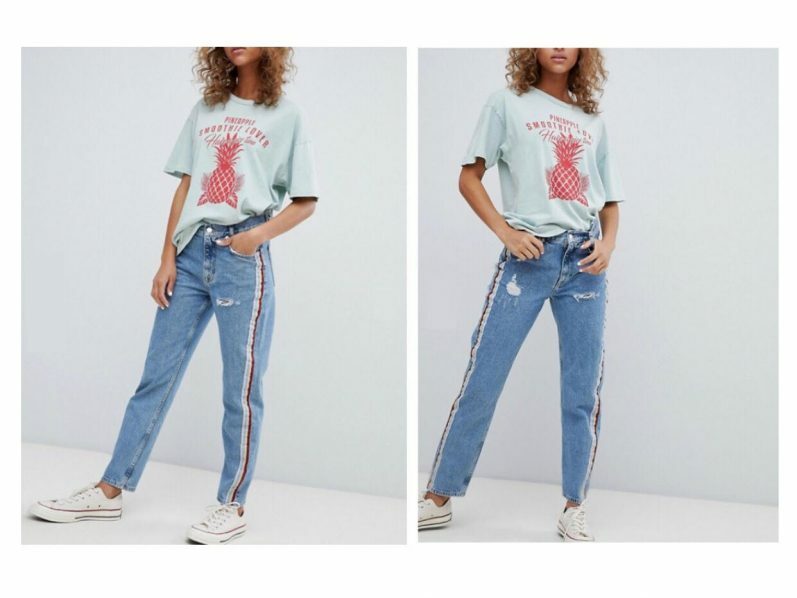 Americana style is the key direction this season empowered by distressed cropped jeans, flared jeans, high-rise skinny and straight jeans which take over our wardrobe for a relaxed but defined silhouette to give everyday items multifunctional properties and statement style. 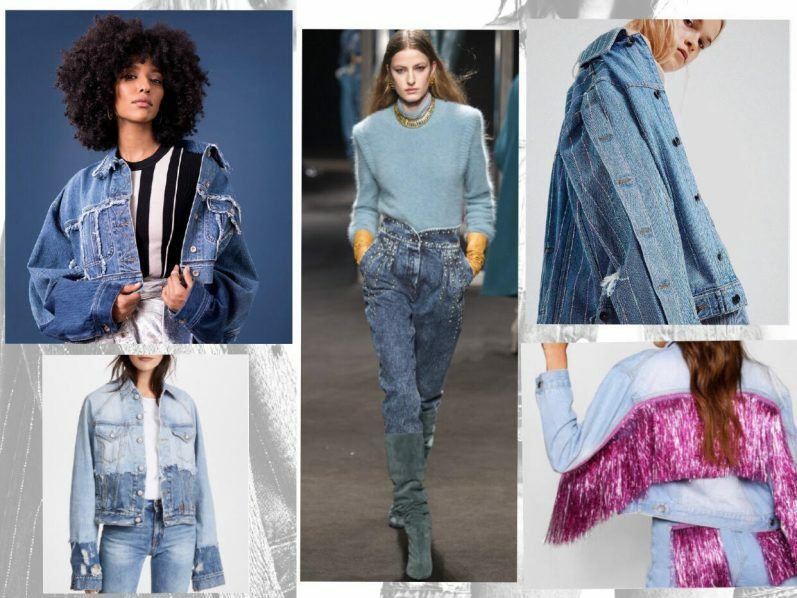 Wear tailored belted denim jackets for a more elegant and constructed look or a large dropped-down plain shoulder denim jacket for a streetwear look.